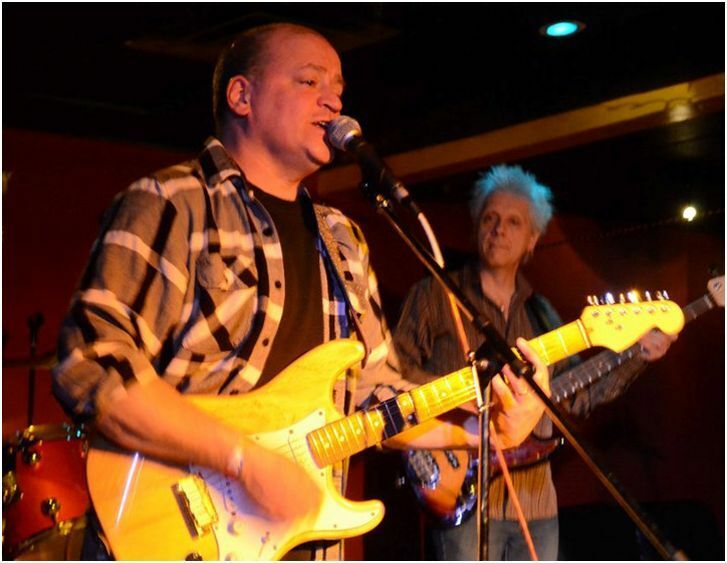 Steve Dineen is a veteran of the Boston rock and blues scene whose band Drivin' Blind has opened for the likes of Savoy Brown and Sonny Landreth. Steve has played in other groups such as Boston Baked Blues and the acoustic duo Black 'n' Blue. 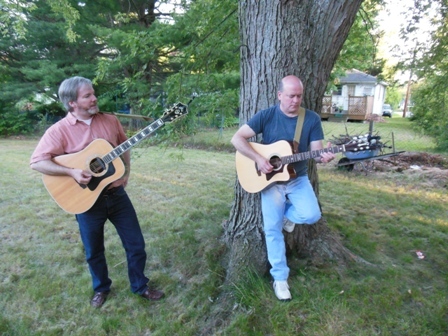 A frequent open mike host, Steve also plays acoustic gigs with guitarist Chris Fitz and percussionist Steve Peabody at venues such as Holliston's Jasper Hill Cafe and Brodies Seaport in Salem. Dermot Whittaker (guitar, vocals) began performing in Charlottesville, Virginia, venues like the C&O and the Cotton Exchange. 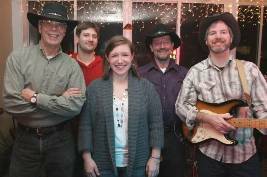 He has played hundreds of club dates and town concerts in groups such as Aunt Mimi with Steven Malatesta, the Falmouth-based Cajun and zydeco group Buzzards Bayou and the MCMAA award-winning modern country band True West. Derm was a founding member of the Stacked Wood honky-tonk jams. Top: Derm Whittaker and Steve Dineen (photo: r. snyder). 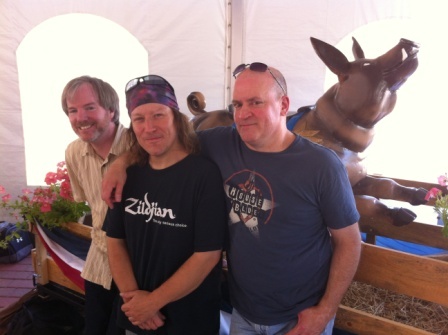 Bottom: One version of Alt Mimi at the Bolton Fair in 2013: (l-r) Derm Whittaker, Steve Peabody, Steve Dineen, not identified (photo: h. mackay).